A contest launched 6 years ago by the entrepreneurial New7Wonders Foundation has driven more than 4 million people to cast 28 million votes for humankind’s 7 most wondrous feats of engineering or architecture (of the traditional 7 only 1, the Pyramids, is still in existence). You’ve got just 60 days left to choose among the 21 finalists, which range from Athens’ Acropolis temple to Bavaria’s Neuschwanstein castle, from the statue of Jesus in Rio to the Statute of Liberty in New York. If the spirit moves you, vote here. So far, the nominees include: (1) the 13th Amendment to the U.S. Constitution, (2) the Constitution of the Republic of South Africa, (3) the Law Merchant, and (4) the Edicts of Aśoka. Just as interesting as any particular candidate for “Legal Wonder” may be what the nominations say about the cultures from which these Legal Wonders have emerged and our own. Mary Rebecca Bynum has written that when she teaches her undergraduate course on “The Seven Wonders of the Ancient World,” her purpose is not simply to teach students about the Seven Wonders themselves, but to explore “how members of one culture view other cultures, and what use they make of other cultures in their own world.” This contest, too, may be as much a window into our own values, ideals, and culture as it is into the cultures that produced the particular “Legal Wonders” being nominated. So who or what do we nominate here at Dorf on Law? There are of course many worthy candidates, but I nominate Dr. B.R. 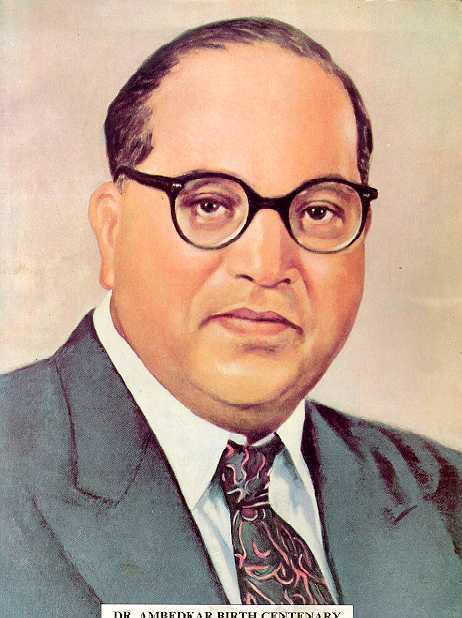 Ambedkar, a Dalit (or so-called “untouchable”) leader who at times clashed with Gandhi and other Congress leaders during the Indian independence movement and later became one of the principal architects of the Indian Constitution, which among many other notable things abolished “untouchability.” Over fifty years after his death, Ambedkar remains a deeply influential figure in contemporary India, although to many people also a controversial one. A crude indicator of progress under Ambedkar’s Constitution may be seen in the sweeping recent victory in the state of Uttar Pradesh by the Bahujan Samajwadi Party, a party created principally to represent and advocate on behalf of Dalits. Not only did the BSP surprise observers by winning an absolute majority of seats in the state — returning Mayawati, the first Dalit woman to lead any of India’s states, to power as the state’s Chief Minister — but it apparently did so with significant support from a “rainbow coalition” that included significant numbers of upper caste Hindus. On the other hand, for a sense of how far India has yet to go to fully realize its formal abolition of untouchability, recall my post on the status of Dalits from several months ago. Feel free to post your nominations for the “Legal Wonders” contest, along with your reasons, in the comments to this post (or, co-bloggers, perhaps in blog posts of your own). Or send an email to [email protected] If it seems easier to identify “legal blunders” than “legal wonders,” that need not hold you back, for if a blunder is bad enough — if it’s a downright fiasco — perhaps it inspires wonder on that basis alone. So whether fabulous or fiasco, fire away with your nominations.